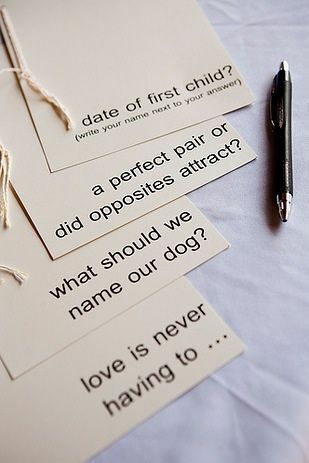 For some brides & grooms, the traditional, set-on-your-coffee-table guest book WORKS. It's exactly what they want. And to those brides & grooms, I say, "Good for you sticking with tradition!" However, more and more couples are opting for something a little more fun and interactive. And to THOSE couples, I say, " GOOD FOR YOU! You're going to be so very happy you went this direction instead of the more traditional route." I love the more unique options couples are going with lately! Here are a few of my favorites. Enjoy! Few things are more fun in my opinion than when there is a grooms cake at a reception. How great are these! ?